Many brokers are talking optimistically about sales. But Alireza Ittihadieh, founder of Freestream Aircraft one of the world’s most active large business jet brokers, disagrees. He says the market is miserable, trading is non-existent and banks are not financing business jets. Freestream Aircraft’s head office on the top floor of a Mews house office near Buckingham Palace is full of character. There are back issues of business aviation magazines stacked neatly on the shelves next to Sotheby’s catalogues and guides to art. There is an old pair of aviator’s goggles on a table. There are boards containing swatches of fabrics for business jet interiors and posters advertising films. There is a photograph of Alireza Ittihadieh, the company’s founder, with Bill Clinton and Ronald Regan. But the most noticeable things are hundreds of model aircraft peeking out from shelves celebrating closed deals. 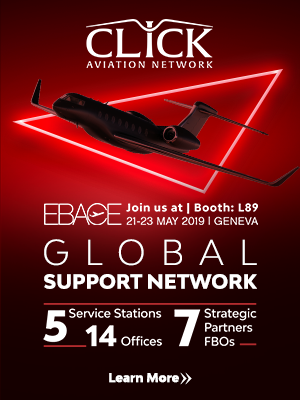 Specializing in larger corporate aircraft – including 747s, 787s and Boeing Business Jets – Freestream is one of the world’s most active business jet traders averaging over $500 million in closed sales each year and there are plenty of closed deals to celebrate. Ittihadieh founded the company 20 years ago after working as a foreign exchange trader at Republic National Bank of New York, Solomon Brothers, and M Group, one of the first hedge funds. He did not enjoy working for a small fund after large banks so decided to do something different. Aviation had always been a passion so he started out as brokering aircraft and air charter. His first aircraft sale was a deal for a Jetstar-731 to a Greek ship owner followed by a Hawker 700 to the chairman of Fairchild Industries . As well as selling and chartering Freestream now advises buyers on acquisitions from manufacturers, interior design, asset management of aircraft, manages interior completions, restructures corporate flight departments and advises on aircraft finance. Freestream also has offices in the US, headed by Rebecca Posoli-Cilli, and is opening an office in Hong Kong soon. Ittihadieh says the company is truly international and has strong relationships with buyers in Europe, South America, Russia, Asia, Middle East and the US. It has already sold 11 aircraft into China where only about 80 business jets operate. Freestream is very active selling corporate airlines and is working on a 747/787 and a BBJ II interior at the moment. In 2007 it acquired six Boeing 787s to convert into business jets. It has sold two of these to an airline and has put two back to the leasing company due to the uncertainty surrounding actual delivery dates leaving Freestream with two aircraft. The company’s board is also different to other broker/dealers. The chairman is Sir Ralph Robbins, the former executive chairman of Rolls-Royce. Lord Alexander Hesketh, the deputy chairman of Babcock International a UK defence contractor, a former UK government minister and chief Whip [the person responsible for managing MPs in a political party], and owner of the Hesketh Formula One constructor, is deputy chairman. David Faber, a former UK MP who now runs a leading school, is another director. Corporate Jet Investor: What trading is actually going on? 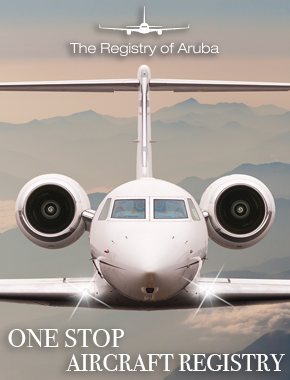 Ittihadieh: The business jet market is delinquent. Trading is non-existent across the board. A lot of sellers were caught out by the mini rally in quarter one and quarter two but demand has gone now. The markets are not just tough. They are miserable. They are nervous. Corporate Jet Investor: Is all the market the same? Ittihadieh: There are two parts to the used aircraft market. There is the high utilization fractional market where NetJets, Flexjet and Citation Air and other fractional operators are selling aircraft and there is the normal market with Aircraft that flying for 400 hours or 500 hours a year. The number of former fractional jets has brought down the whole market. There is so much supply that you wonder if G IVs, for example, will ever come back in value. It is possible but I have my doubts. The used /for sale fractional market is the worst it has ever been and it is affecting less-utilized jets. Are larger jets performing better? Ittihadieh: Yes but the very high end is still trading at a 15% discount. A BBJ1 which was worth $75 million in 2007 will now trade at between $58 million and $62 million. Corporate Jet Investor: Why are some other brokers saying more optimistic things than you? Ittihadieh: They are not telling the truth! The biggest issue is that there is no true market as deals are not closing. There is a fake market created on hype, gossip and rumormongering. It is very sad. A few days ago I got a call from someone saying that a BBJ deal we had with a buyer had fallen through at the last minute. It was not true. We had not even got to pre-inspection. There is a lot of misinformation and hype. Brokers are not telling owners how much their aircraft is worth. Some are saying high numbers just to get the listings but then nothing is happening. Hyping may work for a few months and give the corporate sellers a false sense of reality but you can’t sustain a market just on hype and false information. Newcomers have ruined the broker dealer market. There are now over 1200 brokers – although a lot of these are one man bands and there is nothing wrong with that, I started as a one man band. In a good market many firms came in and grew just by undercutting others on fees. My grandmother could sell aircraft in the good market. The broker/dealer market is paying a very, very, high price for this. It is going to be fragmented for a long time. The sooner brokers come to their senses and start working together and being honest the quicker the market will come together. 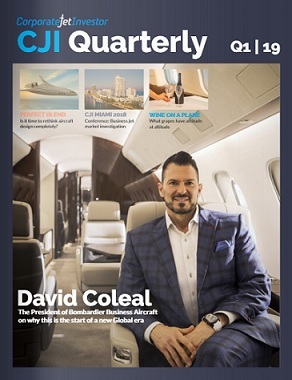 Corporate Jet Investor: Is the lack of business jet finance affecting deals? Ittihadieh: Banks are not lending. Most banks say they are lending but that is only to the very top credits or what they refer to as Investment Credit. In fact banks are in such a mess with previous deals that they are not considering most deals. That is causing havoc in the market. Many potential buyers will not even put an offer in for a purchase of an aircraft unless they have a bank that is committed. Some banks are genuinely open for business. We have closed two deals with Credit Suisse this quarter and UBS is doing deals. We have worked with other banks like SG, Lloyds and Key. We find many of the US banks DO NOT UNDERSTAND – and put that in capitals – the high net worth individual culture in Europe so have not done much with most of them. Corporate Jet Investor: Everyone accepts that values have fallen so why are seeing so few deals? Ittihadieh: There are two prices. Buyers have their price and sellers have their price and the spread is too deep and wide to make a sale happen. Deals will happen, buyers are looking to pay $12 million, for example, but sellers are holding out for $13 million, it becomes a waste of time. How are manufacturers affecting the pre-owned market? Ittihadieh: Manufacturers are selling new aircraft at discounts which is pushing the used market down further. Manufacturers have deflated the price of new aircraft. I do not blame the Aircraft Manufacturers. It is like the law of the jungle: everyone is fighting to survive. The new aircraft market is weak. Full stop. The manufacturers are nervous, however, they would NEVER admit to it because that is showing weakness. Manufacturers have white tails to sell – even if some of them will not admit to the White Tail Inventory. In the last two to three years some manufacturers have been flexible and keen to work with us. Bombardier have been the most flexible and really worked with us on a Global XRS position and Global 5000’s. Dassault was also willing to work with us. Boeing allowed us to move a 747 position to another Boeing type of aircraft. Corporate Jet Investor: So when will the pre-owned business jet market return? Ittihadieh: By 2012-2014 we will see proper recovery. Deals will still happen. They are happening, but the market will not have turned until dealers start buying. Prices are low but there is no point buying at a discount and then not being able to sell as you wouldn’t know when that sale would be? There isn’t any heat in any of the markets. This is a cyclical business whether you like it or not. Regardless of whether it is being driven by China, Russia or Southeast Asia the cycle is seven years. The downturn started in 2007 – across the board – for both commercial and corporate aviation so it will start picking up in 2012. I am pessimistic about the short term but it won’t be like this for ever.